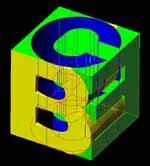 Building Enclosure Consulting publishes an occasional (we would like to make it monthly but we strive to find the time) newsletter with new articles, new trivia, results of the old trivia, notifications about upcoming events, and other information relevant to sciences and technology of building enclosures. If you would like to receive the newsletter, use the sign up box below. To opt out any time from receiving this newsletter, click on the "unsubscribe" link included within the email or the link at the bottom of this webpage. If you no longer want to receive email notifications about new articles and events, click the link below or send email to subscriptions@b-e-c.us with the word “unsubscribe” in the subject line.